I think my case is a special one because I see the UFOs regularly. I’m from Tehran but have been a university student for four years in Babolsar, a small, coastal town in the extreme north of Iran. 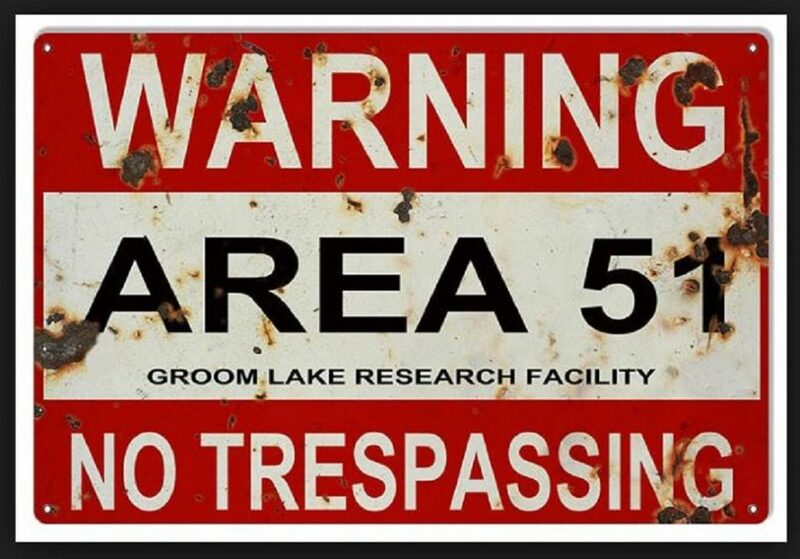 I have been interested in the UFO subject from high school. 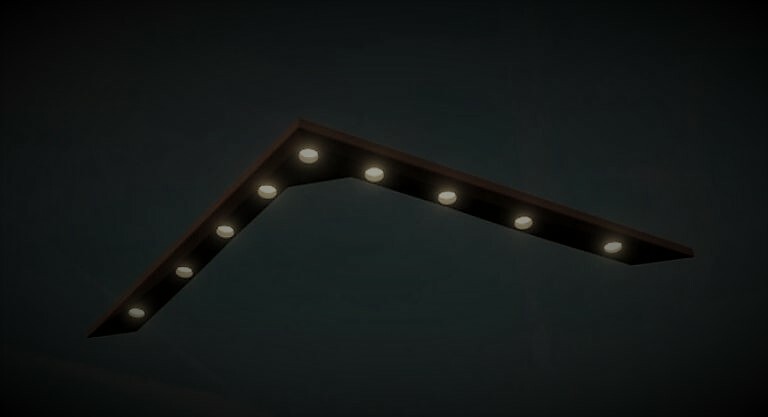 For the first time, two years ago, at around 5 am in December, I noticed a very bright fast moving light in the sky moving from north to south. 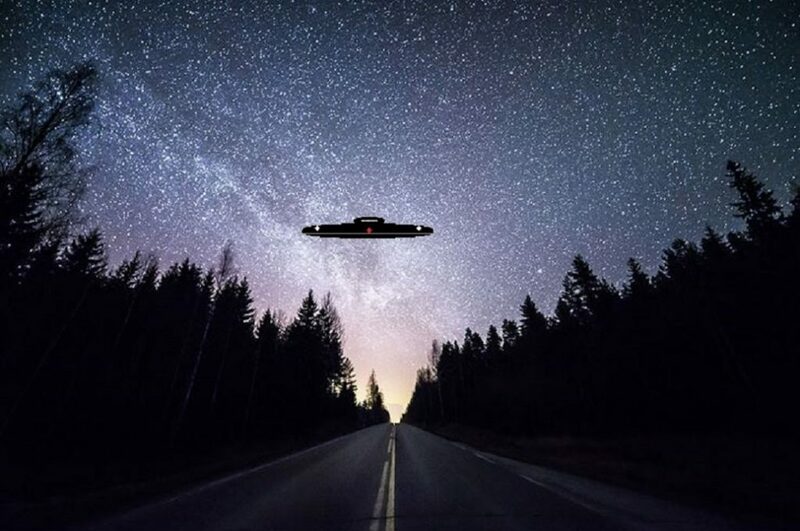 From that moment I became very curious about the existence of UFOs in north of Iran also before that I also heard about a lot of UFO sightings in Iran especially the northern cities. So, I used to watch the sky a lot. When one day I saw a UFO at 6:30 p.m. I watched at the same moment the next day and to my suprise I could see again and again. I couldn’t see them everyday because the sky was cloudy most of the times. During the last year I just could see the starlike UFOs which moved usually from south to north ( toward the Caspian Sea) mostly at 6:30 to 7:00 p.m..But by the start of the previous semester at November, again I used to watch the sky at 6:30 p.m.. Now to my suprise I saw new kinds of UFOs. 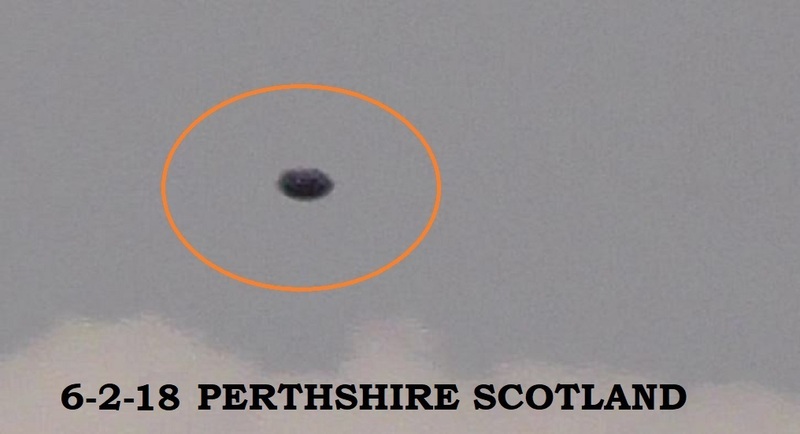 These UFOs were flying very low at an altitude of about 200-300 meters and were very small nearly at the size of a football. 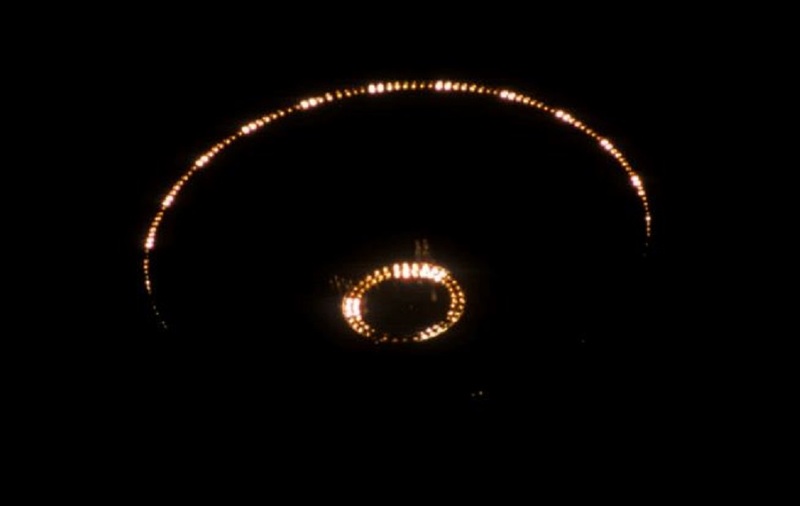 These unmanned UFOs are covered with a halo of yellow-white and very dim light that they are unnoticeable and when I saw one of them for the first time I mistook it with a bird on which the light from ground was reflected, but when I saw the object several times I got it. These things sometimes move singly or in pairs or in a triangular formation and I once saw 16 of them ( I counted) in an arrowhead formation at 6:35 p.m. and once I saw nearly 50 of them moving slowly at 1:40 a.m. towards the Caspian Sea. The late 2 months I feel more activity as I see lots of starlike and UFOs at 8:30 to 9 p.m..I have bought a 5mw green laser. This device helped me a lot. When I shoot the low altitude small UFOs the light reflects perfectly which shows the smoothness of the surface, and the UFO tries to dodge my shot and sometimes increases its speed. When I shoot the starlikes they immediately make their light very dim or invisible. 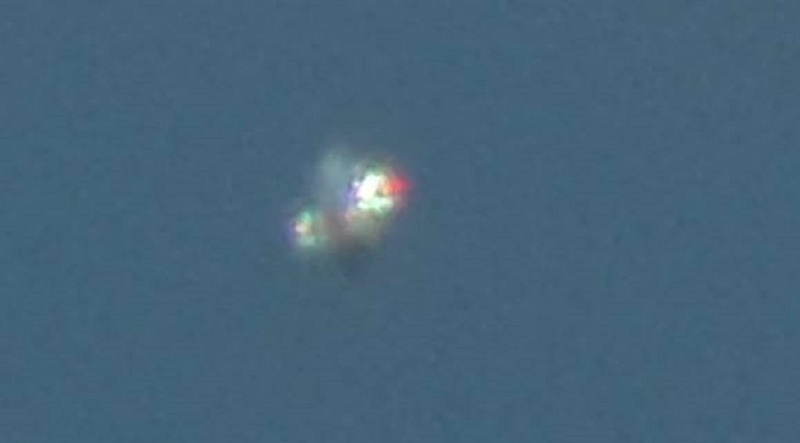 Only one of the UFOs which I think is the same responds to the laser beam by glowing very sharply for 2 -3 seconds and later goes off. I have also seen other things for example once I saw a glowing stork which I’m sure was made of light ( like laser projection ) and surprisingly was flying like a bird ! There have been reports of some strange creatures in the Caspian sea which you can find on the net. I believe the investigation of USSR which concluded that there are some UFO bases under the waters of Caspian Sea. I wish you could come to investigate in Iran because UFO sighting is a very common and handy phenomenon in Babolsar. You should just know the time of their flight then you will see them trafficking for about 30 minutes every night. NOTE: The above image is CGI. I was sat in the sunshine next to my touring caravan at Harbury Fields caravan park, near Leamingon Spa, warwickshire CV33 9JN. I was observing and photographing local aircraft passing overhead. I noticed what looked like a bright star in a northerly direction, in a clear blue sky. 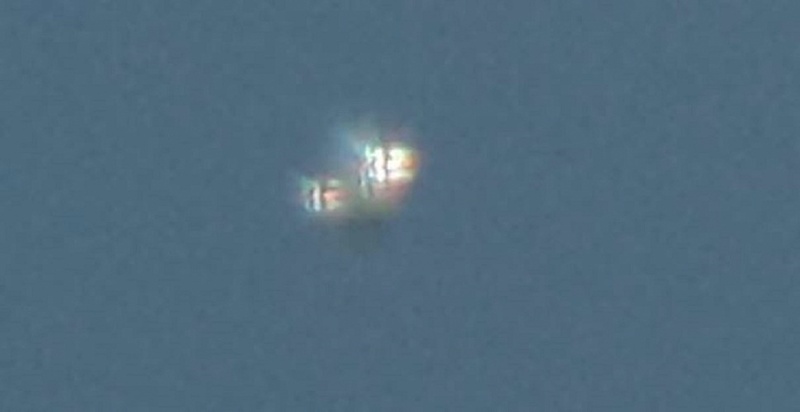 Pointed my Nikon D7200 with a 150-600mm lens at the object and saw more than one bright light, plus a shape. Took several Photo’s over the next 15 minutes and then the object was gone. The object appeared to be rotating but not moving in any direction. There appeared to be no trail to the object so I discounted it to be a meteor or space debris. 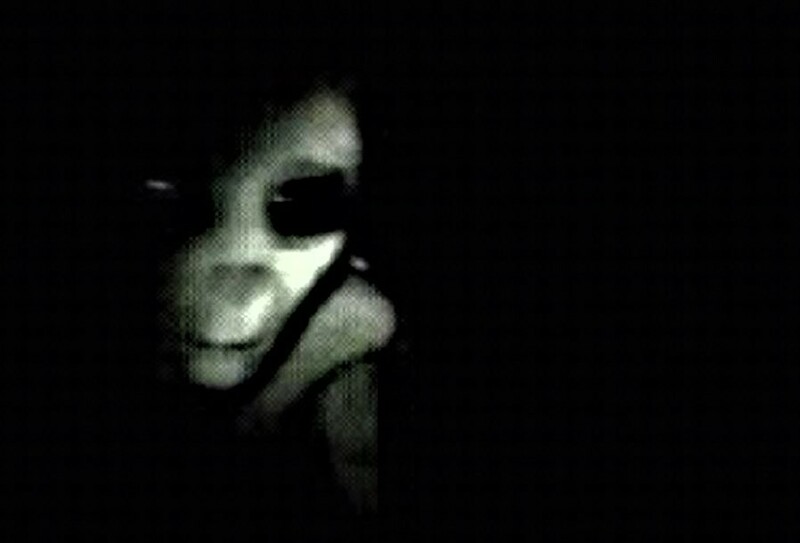 The object did look to get brighter, with the naked eye and then dimmer before it disappeared. I had never seen anything like it before so checked the internet for space debris. NASA said space debris was expected the day before (June 1 2018) and the day after my sighting (June 3rd 2018). There was a space launch by China earlier in the day but this was at about 05:30 in the morning. 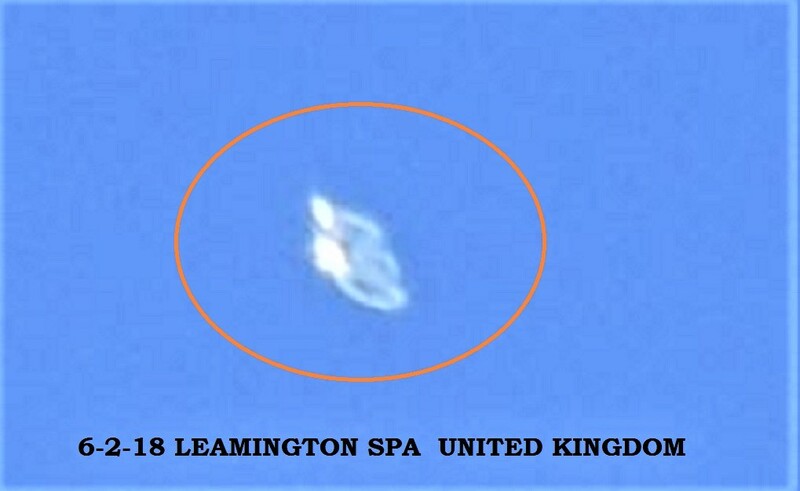 My wife saw the object and I showed her the images I took as we sat there in our deck chairs. We were both puzzled and would like an explanation of what we saw. 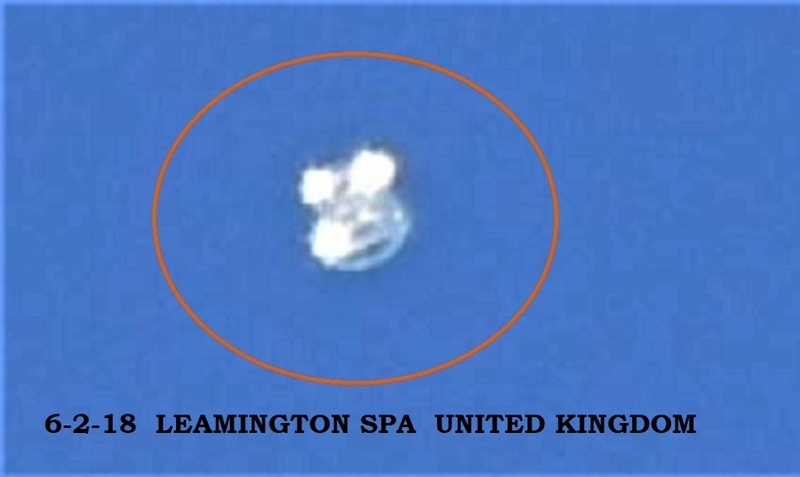 During my observation, the object did appear to change shape, as you can see from the photo’s. There was an approaching thunder storm from the south east . I looked out of a window as I was at home . I noticed an object in the distance , which did not look like a bird , drifting in the sky . 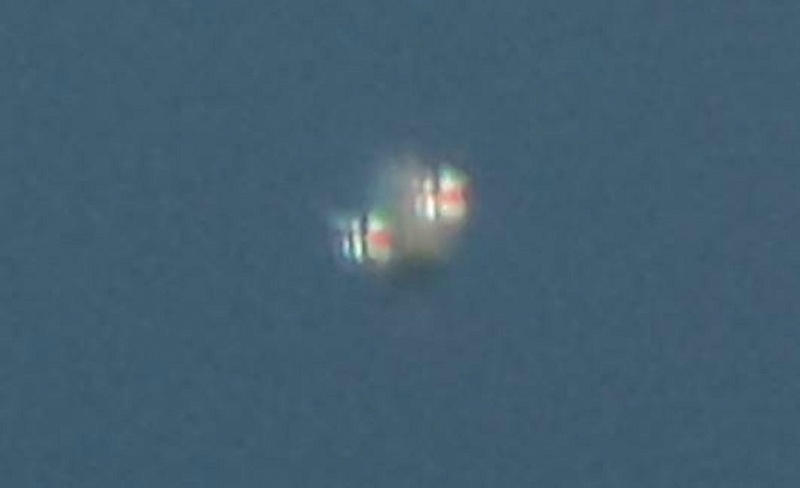 I then went and grabbed my camcorder – panasonic HC.V250 10.0 mega pixels 90 x zoom – to see if I could zoom in on it to see what it was . When I had returned with the camera it had moved some distance in the sky , my view of it was blocked as it had passed the town clock , and I lost sight of it as it passed behind a rooftop . I then ran to another window in my house so I could see it again. I opened the window as I did not want to film it through glass . I managed to film it for about 30 seconds , maybe actually only 20 by the time I focus in etc . I would describe the object as puck shaped , a disc with an edge . 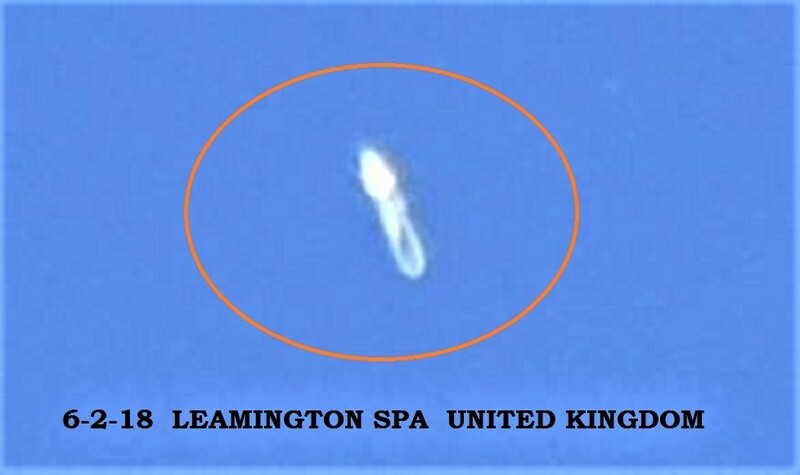 I was viewing it moving from my left to right , it does appear cigar shaped as it moved horizontally , there were clouds above it and below it , it approached some lower level clouds , then banked , as it done this you could clearly see it was circular when viewed from underneath . In brief ,it traveled at a constant speed , approached a cloud formation then banked and went into the cloud and that is when I lost sight of it . I have only basic computing equipment , so have not had the chance yet to try and enhance the images in photo shop . The film is a bit shaky , but when slowed down and screenshots taken you get some better images . I only noticed afterwards looking at screen shots , that as it approaches the cloud to descend into it there appears a green doughnut shaped light underneath it . Have attached the film clip and a couple of screen shots , and hopefully someone out there may be able to enhance them a bit more than I can . Was filmed in Crieff , Perthshire , Scotland . View for yourself ……. Please contact me if any further information is required . 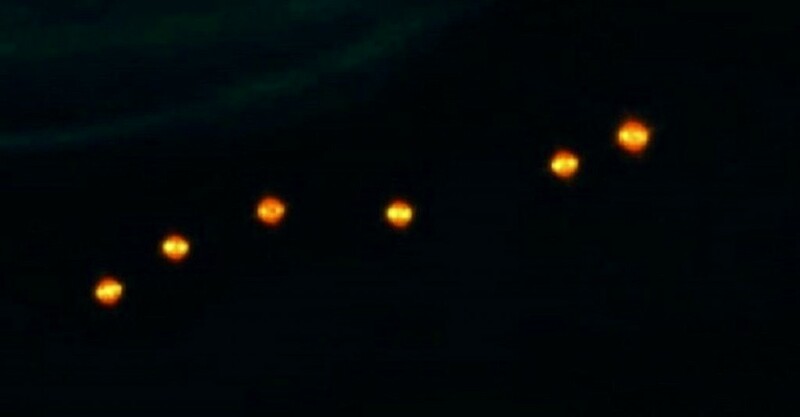 Four Yellowish bright lights seemed to move in the same direction where two of them later moved in the opposite direction. I was coming home with my family in my car and I saw 4 bright oval shaped lights moving from north to south. We stopped our car to look at it and we saw that the 4 shapes were moving in the same direction. Then two of those shapes stopped for couple seconds and changed velocity in the opposite direction. The two that were moving in the opposite direction blinked for a second and then disappeared into the sky. The other two shapes kept moving from north to south for about a minute and disappeared one by one. Each shaped blinked at least once before it disappeared. This may be due to the clouds. I was looking at those shapes at a 45 degree elevation. In my background there were street lights and cars passing by. 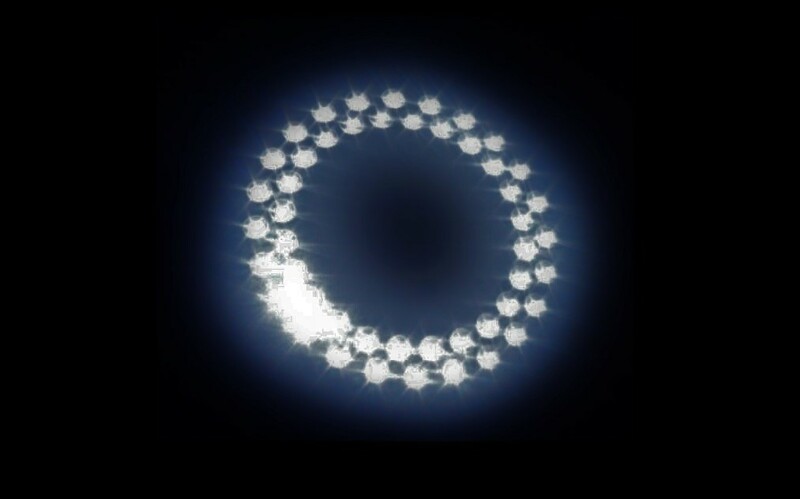 My mother was at a neighbor’s house at the same time and she described similar characteristics but the objects seemed bigger and more light was observed at the bottom of the shapes. She explained that she saw the four objects moving from south to north then it seemed to come down a little and then went back up. They finally started going in the direction of north to south. She said she saw the objects couple minutes before we started noticing them. NOTE: The above image is CGI.